Statutory damages in the amount of $14,300,000.00 was awarded to CHANEL by a United States District Court. The former owners and operators of the store, CHANEL SHOPS, was ordered by the Court to pay the over $14 million immediately, while simultaneously closing down the store, for selling and offering for sale replica Chanel products. The epic levels of beauty and luxury from the House of CHANEL is being endlessly acclaimed and celebrated throughout the world. Regardless of what you may have seen or heard, no replica can imitate, duplicate, or replicate the phenomenal artistry of a CHANEL masterpiece. CHANEL will diligently and purposefully take measures to protect all that is CHANEL. 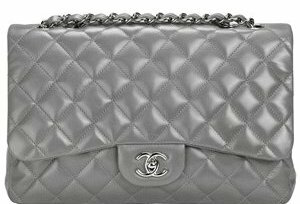 There are good reasons to avoid Chanel replica shops... As a consumer, the risk of getting an illegal product made from substandard and even dangerous materials is not worth it. Moreover, refusing to shop at replica stores guards against funding webs of crime organizations who are known for committing crimes that can affect anyone or everyone, anywhere or everywhere. CHANEL SHOPS is an example of a store that was unsuccessful in establishing and retaining a replica store. Inevitably, the store's illegal products and activities were put to an end by the Courts, at the cost of over $14,000,000.00 and a store closure. Internet transactions are being vigorously monitored at all times. Therefore, shop owners who deal in replicas will be confronted with the likely possibility of large penalties and fines.